Worthy of heirloom status this fabulous vintage side tiara is an ornate treasure. 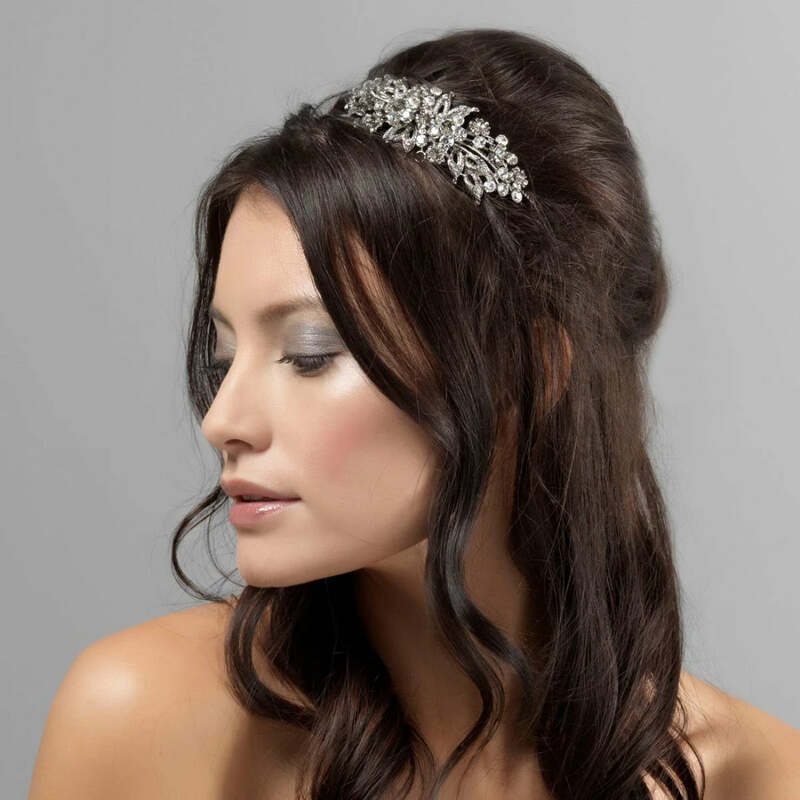 This extravagant vintage side tiara could undoubtedly pass for a family heirloom handed down through each generation. 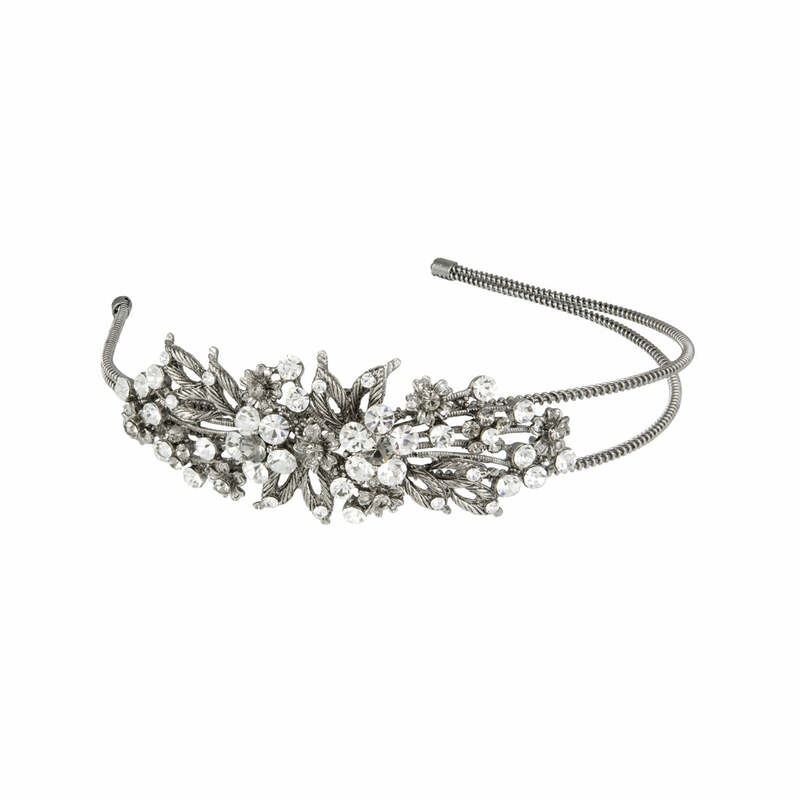 Featuring an ornate floral and leaf design adorned with smoky and clear Austrian crystals on a double antique silver tone head band, it beautifully combines influences from 1920's and 1930s hair accessories with a hint of Victorian style. Perfect for special occasions, the muted colour tones give a more subtle feel ensuring this fabulous 'piece' would look divine to wear to the races, a posh dinner date or formal ball. For brides favouring vintage side tiaras, this would compliment a vintage style wedding gown to perfection and would also make a beautiful bridesmaids hair accessory to carry through an antique chic theme.